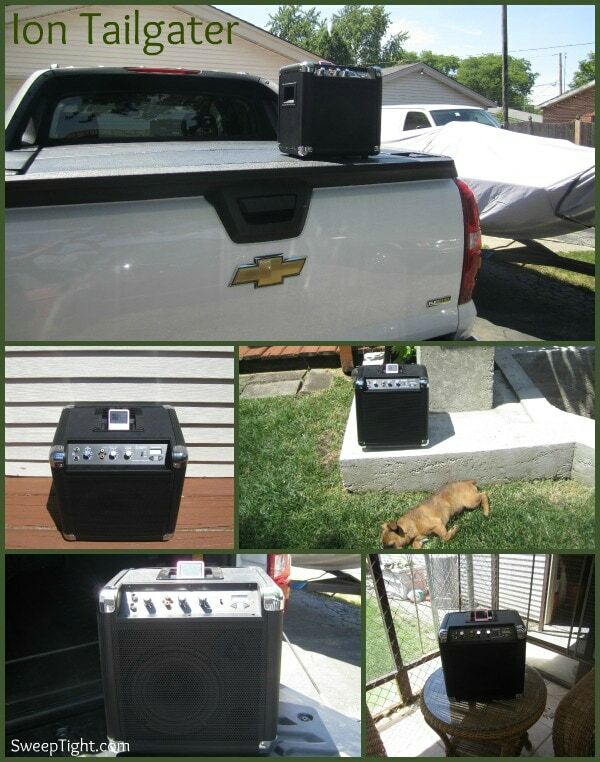 Here is a speaker system for the no-nonsense tailgater. No one wants to leave their vehicle running during the whole tailgating session. 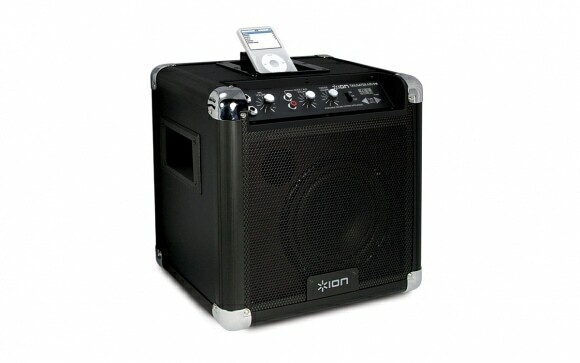 The ION Tailgater is perfect for serious tunes pretty much anywhere! Product received for review. Post contains affiliate links. It’s summer! That means graduations, weddings, BBQ’s, sporting events, pool parties… just PARTIES galore! There is always something going on and music is usually welcomed. 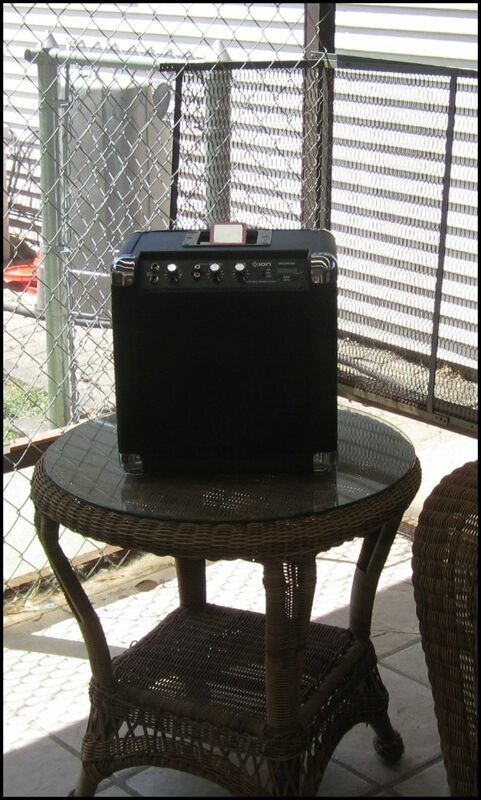 Sometimes it can be hard to find a portable speaker system capable of blasting the tunes loud and long enough for a larger group. The ION Tailgater is big enough to mean business, but still easily portable. The built-in side handles make it easy to carry. We have had it all over our house – indoors and out. I had it in my bedroom for a while to blast music while I get ready. Mike had it in the screened-in porch while he BBQ’s. We both enjoyed it in the yard and on the deck while we swim in the pool. And, we even had it on the back of the truck while we cleaned Mike’s work car. I like to use it with my iPod. It allows me to blast all of my favorite songs! The sound quality is excellent even when the volume is turned up all the way. That’s something I always hated with some other speakers – sometimes the clarity decreases as the volume increases – not the case here. Mike prefers to listen to AM radio (blech) and that comes in nice and clear, too. The dock fits most iPod models and iPhone. The AM/FM radio is built in. There are also inputs for using the included microphone or other audio sources. Speaking of the microphone… haha… I have been having a lot of fun with it. Of course it would be great for hosting a speaking event. Since that’s not happening over here, I like to use it to make requests of my husband. When the speaker system is plugged in upstairs to charge, I will use the microphone to talk to Mike in the basement. I will say things like, “Hey husband, can you please get in the shower so we are not late again…”. Things like that. I also like to sing along to my favorite songs when I am home alone. You can adjust the volume of the mic separately, so that’s a nice feature, too. Once the unit is fully charged it can last for up to 12 hours. That is perfect for tailgating! We can bring it onto our boat, too. Like I said, we have had it everywhere and it’s awesome! The heavy duty construction of this speaker shows that it’s built to last. We can look forward to many years of fun with it! I would highly suggest everyone get one for all family functions and entertaining events! 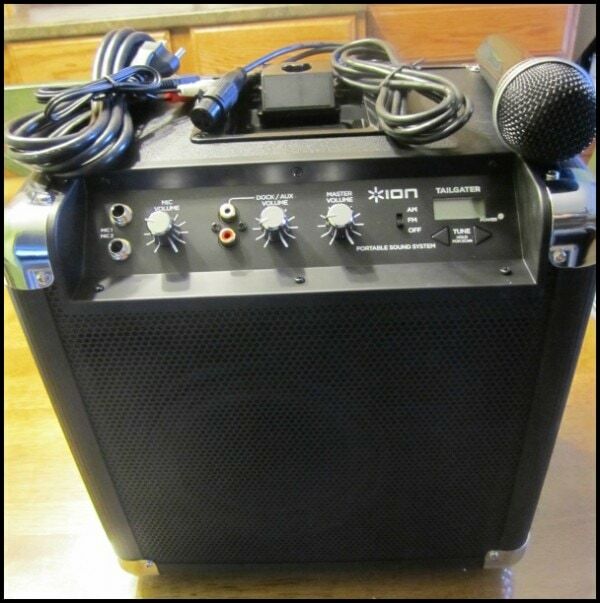 Visit ION Audio for a huge selection of audio equipment! The Free Sound looks great. The iCade Mobile is cool! The icade is pretty cool! I really like the twin video and the drum rockstar! I’d love to have the DESK ROCKER USB Stereo Speakers. I like the Folding Computer Game Controller. I like that iCade Jr. I like the DRUM ROCKER for Xbox 360. I like the Drum Rocker for Playstation! The TWIN VIDEO Dual-lens Video Camera looks cool. Also like the CD Direct. My parents recently got all my albums from a kid down from the attic and gave them to me — so the EZ Vinyl/Tape Converter looks really good to me right now. The U-Cast podcasting kit with USB microphone looks awesome! i really liked the icade jr. it looks awesoom!!! I like the ROOM ROCKER! I like the TWIN VIDEO Dual-lens Video Camera. I love this sound system! I’d love to have the WATER ROCKER. 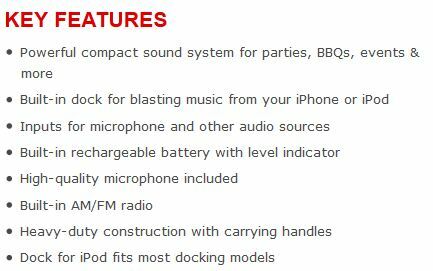 I’d also love to have the ‘iDJ 2 Go’ DJ System for the iPad! I like the Icade mobile. I love the Proflash Studio. I like the Twin Video! The have a system to take your cassettes and put them on your computer. I am sure some of us are still holding onto cassettes. I like the iPROFILE Vinyl-to-MP3 Turntable for iPod. I like the game controller for the iPod or iPhone I think my son and hubby would like that. I like the CD DIRECT. The Icade Arcade Cabinet Controller for Ipad looks pretty awesome! The Water Rocker caught my eye. The iDJ 2 Go is tops on my list! I would like to try the Type N’ Slide Sliding Bluetooth Keyboard Case.